My yoga journey began in my mid-20s when I found myself suffering from chronic digestive issues, migraine headaches, stress related high blood pressure and knee pain. A neighbour recommended Mike and I try Bikram Yoga and we soon found ourselves in a class. We were intrigued by the challenge and motivated by the incredible after-class bliss! We committed to a regular practice and were simply amazed with the health benefits that followed. I knew I wanted to share the health benefits of the practice with as many people as possible. I attended Bikram’s 9-week teacher training in Palm Desert, Spring 2009 and Mike and I opened Bikram Yoga Mississauga in the Summer of 2010. I have since received my Inferno Hot Pilates and Rainbow Kids Yoga Certifications as well, and am equally excited to be offering these classes in our studio! I am truly grateful to be sharing these amazing yoga and pilates classes with others and love to hear how the classes are having such a positive impact on the health and wellness of so many. I look forward to many more years of stretching, strengthening and sweating with you! Thank you for the incredible community you all help to create! Upon entering his first yoga class in the fall of 2008, Mike was greeted by the instructor saying, Welcome to your new life!?. The words could not have been more appropriate. After suffering years of pain from separated shoulders and bad knees due to sports injuries and severe back pain/herniated disks from car accidents, he finally found something that would actually heal his body. This gave Mike such a passion for Bikram Yoga that he decided to leave his career as an Engineer and become a Bikram Yoga instructor and help others find the same relief from chronic pain. 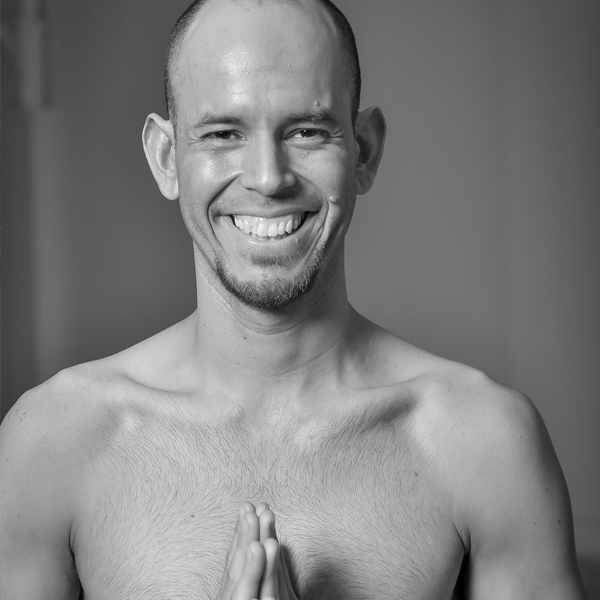 Mike attended Bikram Yoga Teacher Training in Spring of 2011 and graduated as the Valedictorian of the class! Come take Mike’s class and let him inspire you to change your life for the better! Debbie’s yoga journey began with an at-home self-practice in 2005. She immediately felt a stronger sense of self, clearer mental focus and overall wellness. She then discovered a Bikram Yoga studio on her way home from the office in 2008, which changed her life. Weight loss, determination and mindfulness were just a few benefits she witnessed instantly. After six months of practicing, she became a Certified Bikram Yoga Teacher in 2009. Debbie’s background in Social Services and Customer Service, with a natural ability to lead and motivate others, has allowed her to connect with students all over the world. In addition to Canada, she’s had the honour of teaching in Australia, New Zealand and Scotland. She then became certified as a Yin Teacher, complimenting her calm nature and motivational teaching style. Debbie’s life passion is connecting with others to help see past barriers and discover true strength – one breath at a time. I began my Bikram yoga practice back in June 2005 not knowing a thing about yoga. I was at a point in my life where I was working in a corporate job and noticing a decline in my health so I began my quest looking for more natural ways to heal and get myself back to having more energy and feeling good. I found Bikram yoga after speaking to a cousin of mine in England (where I was happy to know this practice is taught worldwide) and she told me about a big sweat box that you do yoga in called Bikram yoga. I was immediately intrigued. My first class was everything I was looking for in an ‘exercise’ routine where through my years of practice have become so much more then ‘exercise’. I quickly completed teacher training in June of 2006 and continue my practice and teaching learning so much since that first class. Bikram has helped me become more focused and has improved my mental and physical health tremendously. I encourage you to try this practice for yourself to see the amazing benefits with consistent practice. I completed my Bikram yoga training in spring of 2010 in Las Vegas and loved the experience. My first Bikram yoga class was in 2006. I was actively running and had started feeling pain in my joints. I tried different types of yoga, but had so many benefits very quickly after doing my first few Bikram yoga sessions. I came to Canada from Mexico back in 2005 and love being here in Toronto. I appreciate the different cultures and people of the city. Some of my other interests include playing the guitar and dancing. I also had the opportunity to participate in the Eastern Canada Regional Championships in March 2011. May earned her bachelor’s degree in business administration in 1999 and started working in the marketing industry after graduation. She discovered yoga in 2008 and quickly became a dedicated practitioner of Bikram Yoga and has since experienced remarkable transformations in her life. After completing Bikram’s Yoga College of India Teacher Training in 2012 she has been teaching with strength and passion ever since. Her goal in life is to share the joy and beauty of yoga with others. 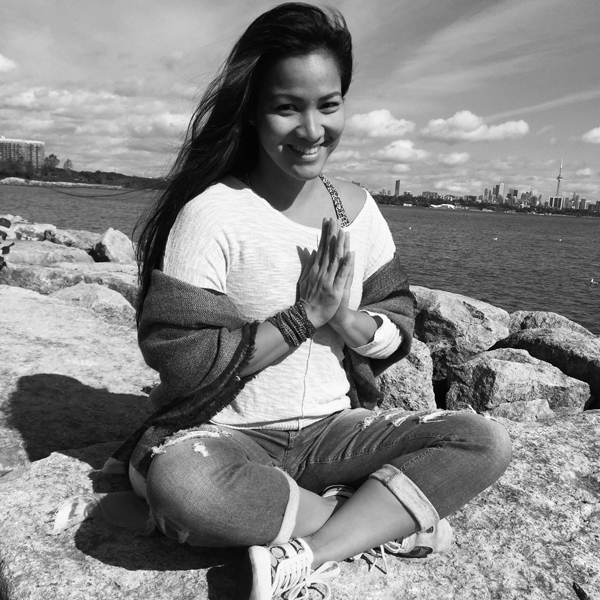 Since May started practicing yoga she has discovered a stronger connection with her body, gained awareness of her thoughts, and become more attuned to her emotions. Yoga taught her to embrace all the spiritual energies around her, and more importantly, led her onto the path of self-realization. In all aspects of her life, May values integrity and compassion. This has influenced her own practice as well as her teaching, which places a clear focus on alignment. She encourages students to respect their body and honor where they are on their journey. I began my quest for a healthier lifestyle and was introduced to my first Bikram Yoga experience in October of 2012. Not knowing anything about Bikram Yoga and how it differs from other forms of yoga, I fumbled through my first class. It was intense and I found myself challenged more than I had ever expected, not to mention sweating more than I ever have. I walked out feeling rejuvenated, with a full mind and body workout. Not scared off by the initial introduction to Bikram Yoga, two weeks later I returned for my second class and the beginning of my 30 day challenge, which brought forth both immediate and dramatic changes in my body. Having suffered from lower back pains for many years from a car accident, I had learned to accept and live with the pain. However, after only a few weeks of daily practice, I felt instant relief and was reminded what it felt like not to have back pain. I knew then that the Bikram Yoga lifestyle was for me. Not only did I feel physically stronger, but the mental clarity, focus, and emotional growth I’ve gained through this defined program has been a life-changer for me. I wanted others to also share in this wonderful vehicle for personal wellness, so I embarked on another journey to become a certified Bikram Yoga Teacher. I attended teacher training in the Fall of 2013 and have been teaching ever since. I strive to learn and grow from every class. This practice teaches us something new about ourselves every time we step into the hot room. The classes may look very much alike from the surface, but once you dig deep and take a closer look, no two classes are the same. I consider it to be an honour to continue sharing my knowledge with current and new students who are also seeking a healthier lifestyle or personal wellness via Bikram Yoga.